Highly anticipated real-time naval strategy and tower defence game OilRush is now available for preordering for Windows and Linux. 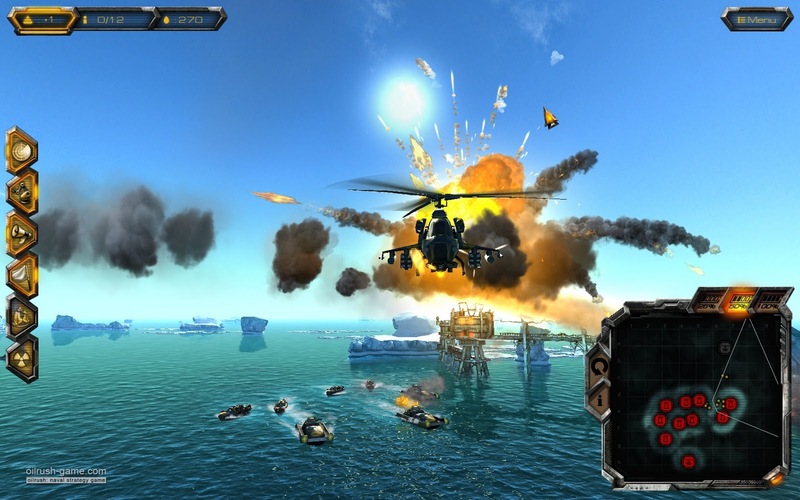 OilRush is based on Unigine gaming Engine capable of rich high end 3D graphics and game physics. The game is set in a post-apocalyptic flooded world where oil is in short supply and everyone wants to seize these remaining oil sources that results in naval wars. The game have both RTS and tower defence elements and can be played in single player campaigns as well as in multiplayer mode. OilRush will be released in June.